The Big Wobble: As predicted yesterday another major quake! A magnitude 6.0 - 39km WSW of Pyu, Burma (Myanmar) is the second major quake of January 2018. As predicted yesterday another major quake! 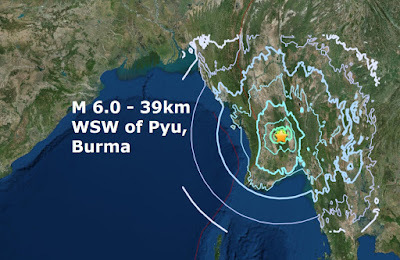 A magnitude 6.0 - 39km WSW of Pyu, Burma (Myanmar) is the second major quake of January 2018. As promised yesterday due to a coronal hole on our sun facing earth major quakes are a possibility in the next couple of days see here. 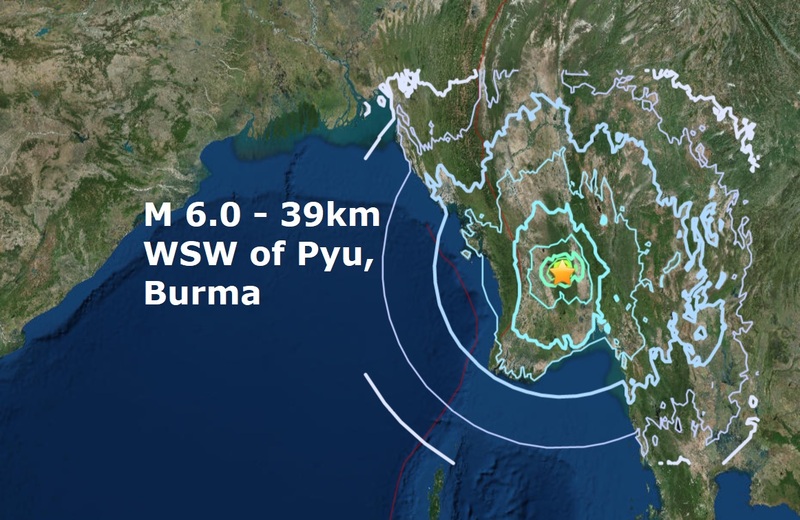 A magnitude 6.0 - 39km WSW of Pyu, Burma (Myanmar) is the second major quake of January 2018. It comes after yesterday's magnitude 7.8 earthquake off the coast of Honduras which was one of the most powerful earthquakes ever recorded in the region. As the first major quakes of 2018 struck in the last couple of days it should come as no surprise as a new coronal hole faces Earth. After a quiet period the two are the first major quakes in almost a month. The days before the solar winds arrive can be a vulnerable time on our planet for earthquakes, as seen in the last two days.